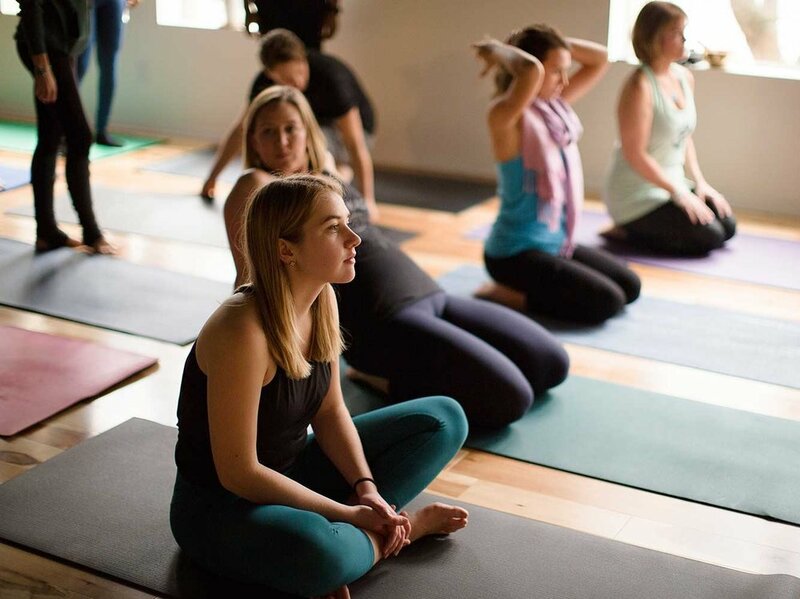 We off EMBER™ (Mindfulness-based Emotional Resilience) in two Teacher training formats: a three day weekend workshop introduction to trauma sensitive yoga; and a 9 month 100hr EMBER Teacher Training Certification Program. The 2019 Weekend Workshop offers teachers an opportunity to experience the EMBER curriculum while exploring the concepts and methods that underpin it. It is intended for yoga teachers, meditation instructors, and practitioners with relevant professional experience who are interested in bringing mindfulness-based tools of proven effectiveness to underserved or at-risk populations. - Discussion of the foundations of the EMBER curriculum: trauma-sensitive yoga, restorative yoga, pranayama, and mindfulness-based yoga nidra. - A review of clinical research on the practical application of mindfulness-based practices for emotional and psychological issues, including PTSD. - An exploration of the dynamics of creating “safe space” for practice in challenging institutional settings, particularly the singular environment of prison. - Instruction in specific asana, pranayama and meditation practices that have been proven effective with women and men in challenging settings and circumstances. - An brief exploration of portions of EMBER’s evidence-based, trauma-informed, culturally-sensitive methodology for working with students who are in prison, in transition, and in recovery. - How to get started: practical strategies for establishing EMBER classes in prisons, therapeutic communities, hospitals, detention centers, and rehabilitation facilities. This has been offered 2016-17 and 2018-19. Please check back for future dates. The 100hr YOHI Trauma Sensitive TT consists of seven modules over the course of 9 months. An exploration of the dynamics of creating “safe space” for practice in challenging institutional settings, particularly the singular environment of prison. Instruction in specific asana, pranayama and meditation practices that have been proven effective with women and men in challenging settings and circumstances. Psychiatrist and yoga teacher shares relevant aspects of brain anatomy and function to shed light on how yoga can facilitate the integration of traumatic experiences for more healthful everyday functioning in the world. Overview of EMBER™ (Mindfulness Based Emotional Resilience) trauma sensitive curriculum. Specific, in-depth look at EMBER’s evidence-based, trauma-informed, culturally-sensitive methodology. Week by week handouts, teaching guides and sequences. You will also learn principles of teaching restorative poses and applications of these principles to help your students therapeutically. Conversations on how this work can affect you as a teacher and as a human. Exploration of student-teacher dynamics, including issues of transference, boundaries, and the importance of teacher self-care. Self-care practices and strategies to support your journey as a trauma-sensitive yoga teacher. Module 7 – Marketing: Helping your Students find you. Includes business card template, correspondence with official letterhead and suggested pricing structures.